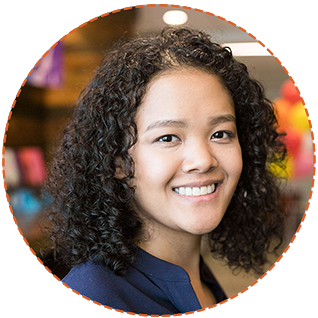 Tina is a Tacoma native who has a passion for solving complex problems and collaborating with all kinds of people. After trying accounting in high school and discovering her curiosity for business, she studied information systems and accounting at the University of Washington. This helped her pick a career in technology consulting because it combined her love of business, media, and technology. Now as a consultant, she’s excited about a future where STEM, social justice, and civic engagement work together to empower communities everywhere. "The hard work and skills that come along with any STEM field - such as identifying problems and thinking deeply to create solutions – will make you stand out in a crowd." Tina loves discovering new places. She is a big fan of traveling solo whenever she can so that she can determine her own adventure on her own schedule.